Stephanie Damore, Summer Prescott, Karin Kaufman, Gretchen Allen, CeeCee James, and Donna Walo Clancy. 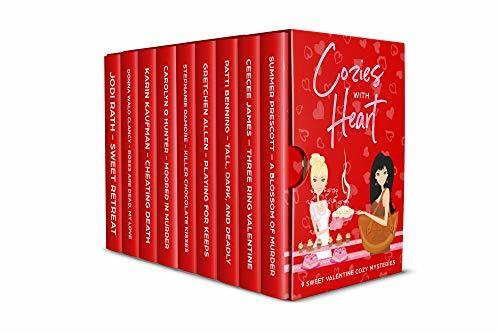 There are short stories, novellas and full-length books in the set, all of which are sure to grab you from the first page and take you on a thrill-filled ride through the sweetest holiday of the year. 1. Preheat toaster oven to 350 F and lightly oil a 3.5 inch cast iron skillet. oil is sitting on the top. Stir in mini chocolate chips. warm with your favorite toppings. Moving into her second decade working in education, Jodi Rath has decided to begin a life of crime in her Cast Iron Skillet Mystery Series. Her passion for both mysteries and education led her to combine the two to create her business MYS ED, where she splits her time between working as an adjunct for Ohio teachers and creating mischief in her fictional writing. She currently resides in a small, cozy village in Ohio with her husband and her seven cats.